Indianapolis, Indiana – In the trademark lawsuit between of Plaintiff Wine & Canvas Development, LLC (“WNC”) and Defendants Christopher Muylle, Theodore Weisser, YN Canvas CA, LLC and Weisser Management Group, LLC, the Southern District of Indiana found that Plaintiffs had engaged in abuse of process and awarded an additional $175,882.68 in attorneys’ fees and costs to Defendant Muylle. Plaintiff WNC sued Defendants in 2011 on allegations of trademark infringement and false designation of origin after disputes arose regarding the parties’ franchising agreement. Defendants counterclaimed for abuse of process against WNC and its principals Anthony Scott (“Scott”), Tamara McCracken Scott (“Ms. McCracken”), and Donald McCracken (“Mr. McCracken”). Following a November 2014 trial, the jury found in favor of Defendant Muylle, returning a verdict that there had been no trademark infringement or false designation of origin by Muylle. The jury also found for Muylle on his claim of abuse of process. It awarded him $81,000 from WNC, $81,000 from Scott, $81,000 from Ms. McCracken, and $27,000 from Mr. McCracken. In this order, the court ruled on Muylle’s most recent petition for attorneys’ fees. These fees had been incurred after September 30, 2014 and consisted of attorneys’ fees that had been neither requested from the jury nor already paid as part of any of three prior payments of Muylle’s attorneys’ fees that had earlier been awarded by the court as sanctions against Plaintiff for failing to follow discovery or court rules. The court evaluated both whether the fees should be awarded and, if so, whether the amount requested, $175,882.68, was reasonable. Under Seventh Circuit jurisprudence, attorneys’ fees are available when a trademark infringement lawsuit is deemed to be “exceptional.” An example of such an exceptional circumstance under the Lanham Act would be if the plaintiff lost and was also guilty of abuse of process. The Plaintiff in this litigation lost. At trial, Muylle contended that the trademark infringement lawsuit had been brought for the purpose of causing him to incur considerable litigation costs to put on a defense and, thus, force the closing of the business. Muylle claimed that Scott had told him during a telephone conversation that Scott expected to lose the lawsuit against Muylle but that winning was not the goal of the litigation. Instead his goal was to put Defendants out of business. The jury found that Plaintiff had engaged in abuse of process. The court also considered whether the amount of the fees was unreasonable. Judge Walton Pratt admitted that, at first blush, the fees did seem questionable for two months of legal services. Upon reviewing the detailed time records, however, the court found that neither the amount of time nor the rates charged per hour were unreasonable. The full amount of attorneys’ fees was awarded to Defendant. Indianapolis, Indiana – An Indiana trademark attorney for Noble Roman’s, Inc. of Indianapolis, Indiana filed a lawsuit in the Southern District of Indiana alleging that Sahara Sam’s Indoor Water Park, LLC of Pennsauken, New Jersey (“Sahara”) infringed its trademarks. These trademarks are: Noble Roman’s®, Trademark Registration No. 987,069; THE BETTER PIZZA PEOPLE, Trademark Registration No. 1,920,428; and a design mark, Trademark Registration No. 1,682,308. Noble Roman’s also states that it has registered the Tuscano’s® mark. In addition to trademark infringement, Noble Roman’s asserts that Sahara engaged in false designation of origin and unlawful competition. Noble Roman’s has registered its marks with the U.S. Patent and Trademark Office. 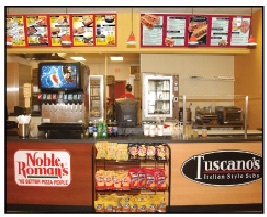 Noble Roman’s is in the business of franchising the operation of Noble Roman’s pizza franchises that feature pizza, breadsticks, and other related food items to various franchisees throughout the world. Noble Roman’s has used its trademarks, among them “Noble Roman’s” and “The Better Pizza People,” registered in 1974 and 1995, respectively, in commerce in connection with marketing, identifying, and promoting its pizza franchises. 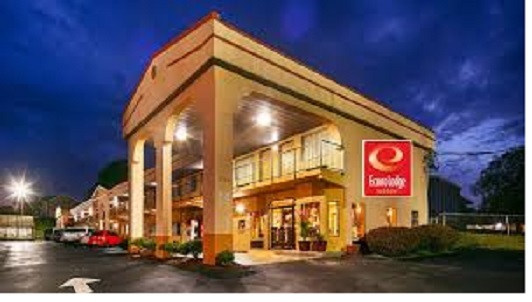 On or about June 27, 2005, Noble Roman’s and entered into two franchise agreements. Under the terms of the agreements, Sahara became a franchisee of Noble Roman’s, licensed and authorized to sell “Noble Roman’s” and “Tuscano’s” branded food products using Noble Roman’s intellectual property assets. Noble Roman’s asserts that these agreements included terms relating to the accurate reporting of sales and timely payment of franchise fees and other fees. Sahara is accused of failing to pay royalties as required under the agreement and of misreporting sales, among other things. Noble Roman’s contends that Sahara purposely, intentionally and knowingly misreported its sales to Noble Roman’s for the purpose of avoiding payment of franchise fees and/or royalties which were due. Noble Roman’s also contends that, after electing not to renew the franchise agreements, Sahara violated certain post-termination provisions of the Agreements, including those which require Sahara to: (1) cease to use any Noble Roman’s proprietary products; and (2) remove from public view and display any signage or other articles containing or depicting the trademarks. Noble Roman’s states that Sahara’s actions were without the authorization or consent of Noble Roman’s and that they constitute trademark infringement, in violation of 15 U.S.C. § 1114(1), as well as false designation of origin in violation of 15 U.S.C. § 1125. Noble Roman’s asks for injunctive relief, as well as judgment in its favor in amount to be proven at trial, together with interest, punitive damages, costs of collection and reasonable attorney’s fees. October 9, 2009 – NOBLE ROMAN’S, INC. v. CITY CENTER FOOD CORP., INC.
July 17, 2009 – NOBLE ROMAN’S, INC. v. MARDAN, INC.
April 21, 2009 – NOBLE ROMAN’S, INC. v. RICHARD A. GOMES and RRCM FOODS, INC.
February 17, 2009 – NOBLE ROMAN’S, INC. v. EXPRESS LANE, INC.
November 6, 2008 – NOBLE ROMAN’S, INC. v. PARDIS & ASSOCIATES, INC.
October 24, 2008 – NOBLE ROMAN’S, INC. v DELTA PROPERTY MANAGEMENT LLC, ZACK BROTHERS TRUCK STOP, LLC and STANDARD PETROLEUM CORP.
March 17, 2008 – NOBLE ROMAN’S, INC. v. MEDALLION CONVENIENCE STORES, INC.
September 17, 2007 – NOBLE ROMAN’S, INC. v. THE FRENCH BAGUETTE, LLC et al. July 26, 2007 – NOBLE ROMAN’S, INC. v. MR. RON’S, L.C. July 19, 2007 – NOBLE ROMAN’S INC. v. BAUER BUILT, INC. et al. Indianapolis, Indiana – An Indiana trademark attorney for Noble Roman’s, Inc. of Indianapolis, Indiana sued in the Southern District of Indiana alleging that B & MP, LLC (which was dissolved in 2011) and Leslie Perdriau of Apple River, Illinois (collectively, “B & MP”) infringed the trademark Noble Roman’s, Registration No. 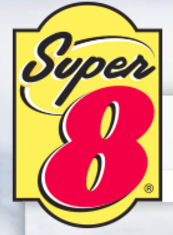 987,069, as well as the trademark, The Better Pizza People, Registration No. 1,920,428. Noble Roman’s also lists a design mark, Registration No. 1,682,308 in its complaint. All of the marks have been registered by the U.S. Trademark Office. On or about March 16, 2010, Noble Roman’s and B & MP entered into two franchise agreements. Under the terms of the agreements, B & MP became a franchisee of Noble Roman’s licensed and authorized to sell “Noble Roman’s” and “Tuscano’s” branded food products using Noble Roman’s intellectual property assets. These agreements included terms relating to the accurate reporting of sales and timely payment of franchise and other fees. B & MP is accused of failing to pay royalties as required under the agreement and of misreporting sales, among other things. Noble Roman’s contends that B & MP purposely, intentionally and knowingly misreported its sales to Noble Roman’s for the purpose of avoiding payment of franchise fees and/or royalties which were due. Noble Roman’s also states that B & MP used the Noble Roman’s trademarks in connection with the sale of non-Noble Roman’s pizza and other menu items and that such use of the trademarks was without the authorization or consent of Noble Roman’s. Those acts were asserted to constitute trademark infringement, in violation of 15 U.S.C. § 1114(1), as well as a false designation of origin in violation of 15 U.S.C. § 1125. Although the complaint lists two Defendants, Noble Roman’s states that Defendant B & MP was involuntarily dissolved in 2011 and that Defendant Leslie Perdriau succeeded to its obligations. Noble Roman’s asks for judgment in its favor in amount to be proven at trial, together with interest, punitive damages, costs of collection and reasonable attorneys’ fees. Indianapolis, IN – The Southern District of Indiana dismissed multiple claims by Plaintiff Wine & Canvas in its trademark infringement suit against YN Canvas, et al. 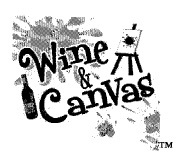 Wine & Canvas organizes parties where guests can take a painting class while enjoying cocktails. Anthony Scott (“Scott”), one of the founders of Wine & Canvas, sued multiple defendants. He alleged that he entered into a business venture wherein he would license the Wine & Canvas business model to Christopher Muylle (“Muylle”) and Theodore Weisser (“Weisser”) for use in San Francisco, both to operate a new Wine & Canvas location and to license others to operate under the Wine & Canvas name and business model. Instead, Scott alleged, the defendants breached that agreement, appropriated the Wine & Canvas model and proceeded without Scott as YN Canvas CA, LLC (“YN Canvas”). 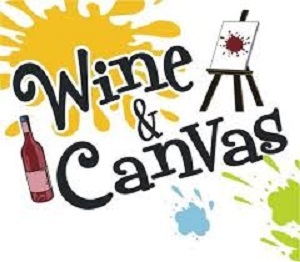 Defendants, in turn, alleged that they breached no agreement but instead merely parted ways, changing their business name to “Art Uncorked,” when Wine & Canvas insisted on a new agreement with additional terms that were unfavorable to the defendants. The eleven-count complaint was originally filed in Hamilton County Circuit Court and included claims for trademark infringement, false designation of origin, trademark dilution, sales of counterfeit items/services, unfair competition, declaratory judgment, civil action under the Indiana Crime Victims Act, breach of contract, fraud, permanent injunctive relief, and request for writ of attachment. It was removed to the Southern District of Indiana as its Lanham Act issues provided federal question jurisdiction. We previously blogged about that element of this case here. The court declined to discuss jurisdiction regarding “Art Uncorked,” finding that it was merely the new name of YN Canvas and, as such, it need not be considered separately. Any references to YN Canvas would also apply to Art Uncorked. The court then moved to the defendants’ 12(b)(6) motions to dismiss for failure to state a claim. Two counts – trademark infringement under 15 U.S.C. § 1114(1)(a) and use of a counterfeit mark under 15 U.S.C. § 1116(d) – were dismissed. Each of those claims required a registered mark, which Wine & Canvas conceded it did not have. However, the court dismissed the counts without prejudice, as the registration of the marks is pending. Defendants next asked the court to dismiss the claim of fraud for failure to meet the heightened standard required for pleading fraud. As no time frame or location of the alleged fraud had been included in the plaintiff’s complaint, the court dismissed the fraud claim without prejudice. Finally, as with the “counts” for permanent injunction and attachment noted earlier, the court addressed another “count” by Wine & Canvas seeking a declaratory judgment. Ruling here on the defendants’ motion to strike, the court cited Federal Rule of Civil Procedure 12(f) allowing a court to strike “redundant, immaterial, impertinent, or scandalous matter” from any pleading and, again, held that the “count” was redundant, as appropriate remedies would be addressed in the adjudication of the substantive claims, and granted the defendants’ motion to strike. Practice Tip #2: The decision to include various remedies that a party is seeking as separate causes of action is also curious but, instead of zealous advocacy run amok, it merely seems to reflect improper drafting.